Public finance and tax policy expert Leonard E. Burman has been named the first holder of the Paul Volcker Chair in Behavioral Economics at the Maxwell School of Citizenship and Public Affairs. Burman is currently professor of public administration and international affairs at the Maxwell School and director of the Urban-Brookings Tax Policy Center in Washington, D.C., which he co-founded. For more than 30 years, Burman has held high-level positions in a range of academic, federal government and public policy organizations. He served as deputy assistant secretary for tax analysis at the Department of the Treasury and as senior analyst at the Congressional Budget Office, where he wrote influential studies on the tax treatment of health insurance and capital gains, the low-income housing credit, individual retirement accounts, investment tax credits and fringe benefits. Burman is past president of the National Tax Association; co-author of “Taxes in America: What Everyone Needs to Know”; and author of “The Labyrinth of Capital Gains Tax Policy: A Guide for the Perplexed” and numerous articles, studies, reports and op-eds. He is a research associate at the National Bureau of Economic Research. Burman, who earned a Ph.D. in economics from the University of Minnesota, joined the Maxwell School in 2009 when he was appointed Daniel Patrick Moynihan Chair in Public Affairs. Volcker’s distinguished career includes eight years as chairman of the board of governors of the Federal Reserve under presidents Carter and Reagan; four years as president of the Federal Reserve Bank of New York; and two years as chair of President Obama’s Economic Recovery Advisory Board. In addition, he served as undersecretary of treasury for international monetary affairs and was chairman of the prominent New York investment banking firm J. Rothschild, Wolfensohn & Co. Volcker also chaired the National Commission on the Public Service, which focused on the changes needed to restore vitality and credibility to the public service. 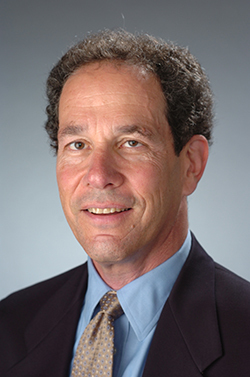 In addition to teaching as Volcker Chair, Burman will, in collaboration with colleagues in Maxwell’s Center for Policy Research where he is a senior research associate, organize a major conference or lecture each year on a public policy topic drawing on the insights and perspectives of behavioral economics.